Neo-Fauvism was a poetic style of painting from the mid-1920s proposed as a challenge to Surrealism. The magazine Cahiers d'Art was launched in 1926 and its writers mounted a challenge to the Surrealist practice of automatism by seeing it not in terms of unconscious expression, but as another development of traditional artistry. They identified a group of artists as the exponents of this and termed them Neo-Fauves. Although these artists were later mostly forgotten, the movement had an effect of disillusioning the Surrealist group with the technique of graphic automatism as a revolutionary means of by-passing conventional aesthetics, ideology and commercialism. 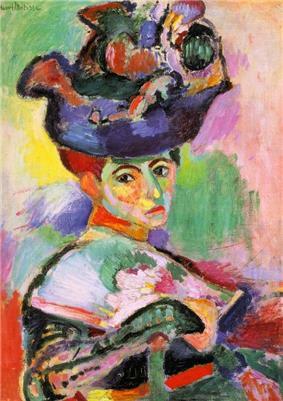 Neo-Fauvism has been seen as the last trend within painting that could be marketed as a coherent style. ^ a b c Grant, Kim. Surrealism and the Visual Arts: Theory and Reception, Introduction. Cambridge University Press 2005. ISBN 978-0-521-83655-5, ISBN 0-521-83655-7. ^ Goethe-Institut, retrieved 10 June 2008.